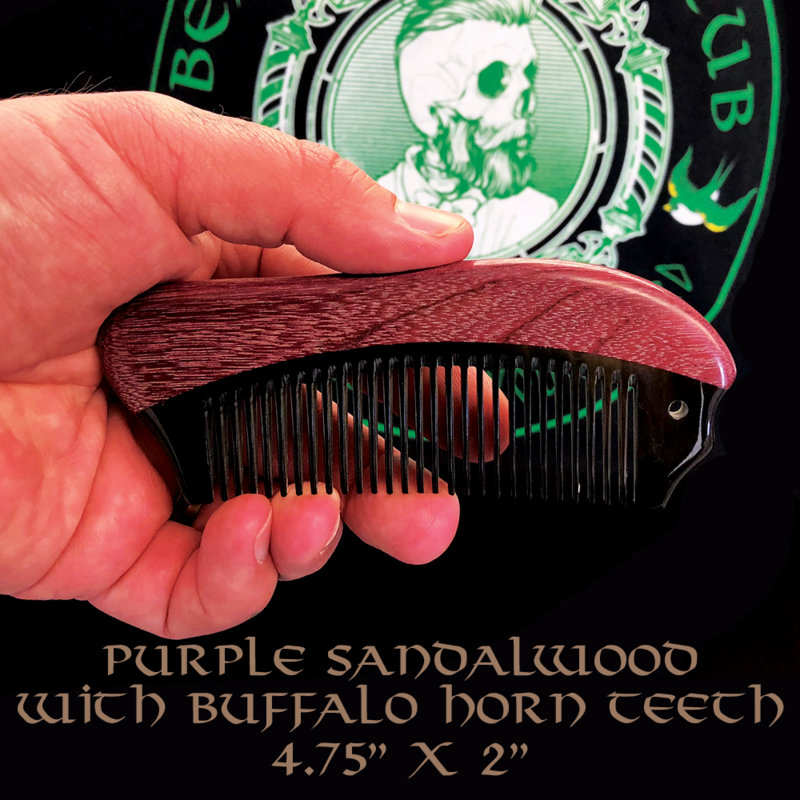 The Shop / Purple Sandalwood Beard Comb With Buffalo Horn Teeth 4.75" x 2"
These amazing purple sandalwood and buffalo horn teeth combs are hand made in the United States. These combs are a two piece construction with natural purple sandalwood on the handle, polished to a fantastic shine, followed with buffalo horn medium teeth. These combs look awesome! 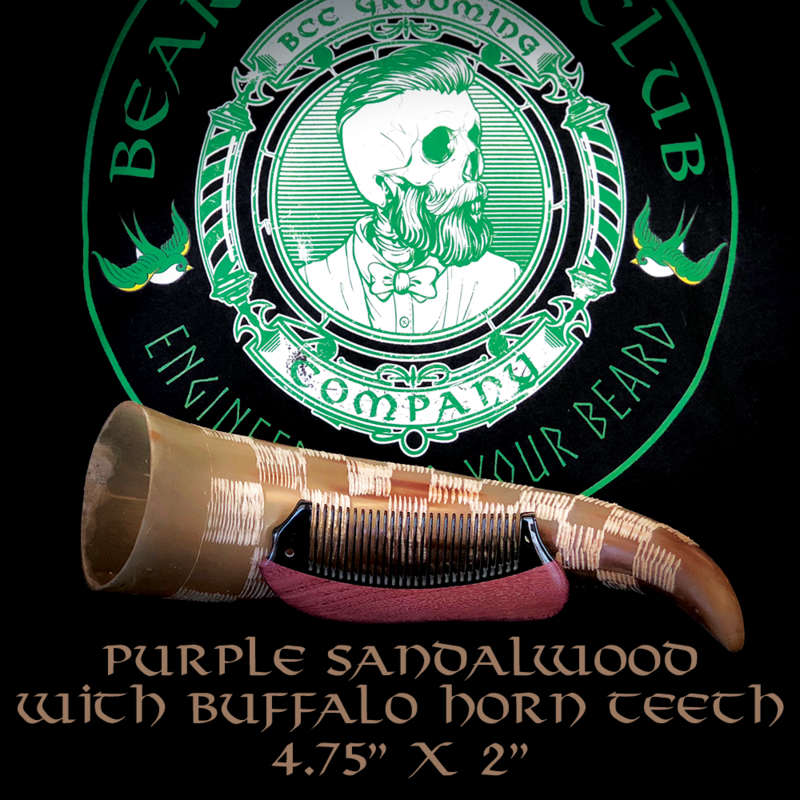 Horn combs are perfect for beards and hair because there is no static buildup. Horn combs help distribute oils evenly which will coat the beard from skin to tip. Due to these combs being hand crafted, no 2 combs are alike. But that's what makes them so cool!